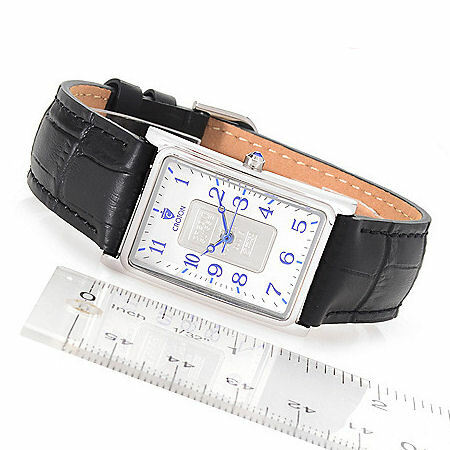 This handsome watch features a one gram 999.5 Swiss platinum ingot at the center dial. And in case you're worried that your eyes are deceiving you, the timepiece comes with a Credit Suisse stamp along with the included ingot certificate so you can put away the eyeglass cleaner. The rest of the watch certainly lives up to expectations set by its impressive load. 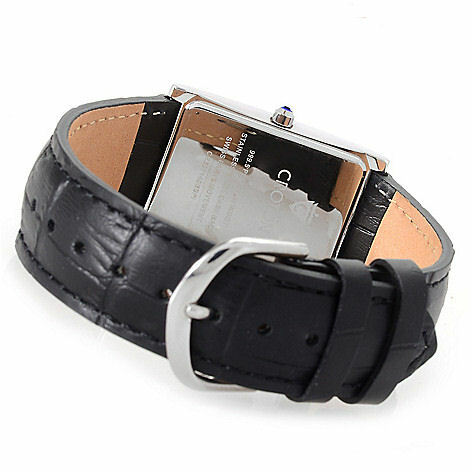 A rectangular stainless steel case looks fantastic on any wrist. 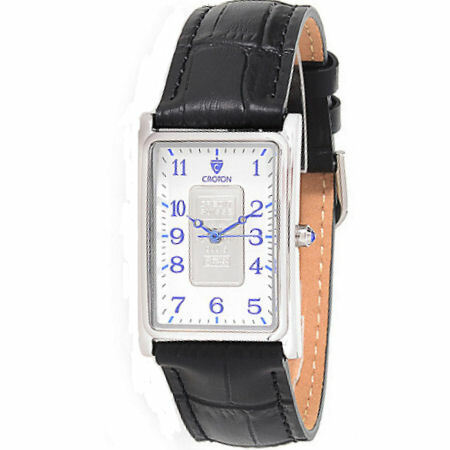 It blends wonderfully with your down-to-business ensemble with a black leather strap ending in a classic buckle clasp. Back on the dial, you’ll always be privy to the time thanks to clearly readable Arabic numeral hour markers surrounding the ingot and stylish blue hands.